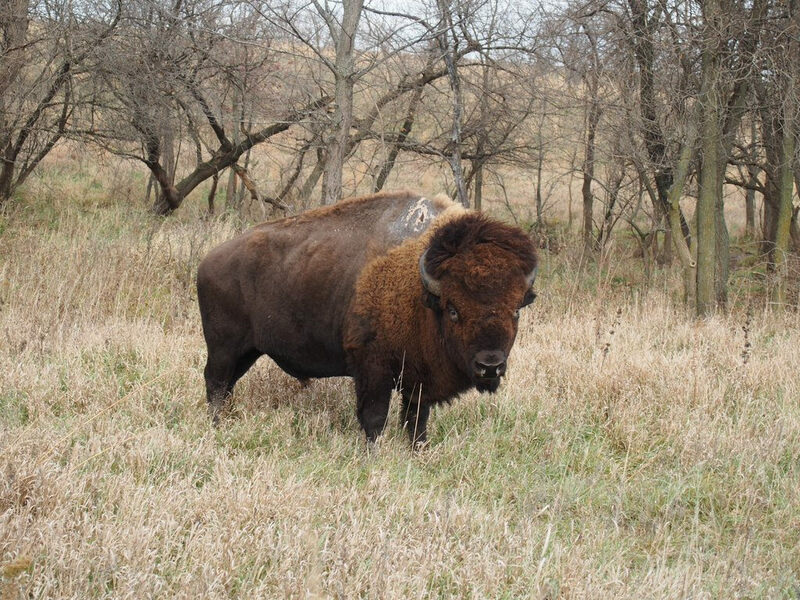 Each fall, the entire herd of bison at the Neal Smith National Wildlife Refuge in Iowa is rounded up for its annual checkup. The shaggy bovines are weighed and biologists assess their body condition. New calves are tested for genetics and injected with a microchip. Individuals are then scanned, and a computer displays where each bison is to go: directly back onto the prairie, into the chute for disease testing, or into a pen for removal from the herd (typically, the yearlings and two-year olds.) 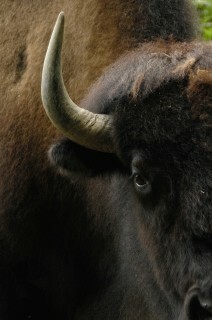 It is common for bison to be sent to other parts of the country to maintain genetic diversity according the U.S. Fish and Wildlife Service. Staff biologists will also get to see Sparky (above), the most famous refuge member that survived a lightning strike in 2013. Known to have fathered three calves before his encounter with nature’s electricity, recent genetic testing will tell if Sparky has continued to bring new life to this thundering herd. EDITOR’S NOTE: Visit the Bronx Zoo and Queens Zoo for activities celebrating National Bison Day on November 5, 2016. 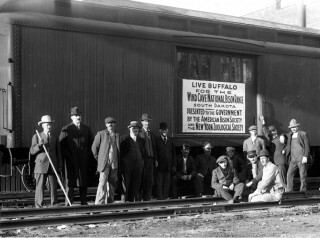 Learn more about U.S. 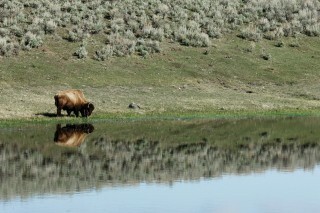 Fish and Wildlife Service and their work with bison at fws.gov. “He looks pretty good for having been hit by lightning!